Stewie and Macca headed out of Wantage towards Hanney at a good pace and on towards Frilford at speeds of 18mph. With no time to pause the boys headed out and straight up Boars Hill towards Oxford. Fortunately, the planned route took all the sneaky routes through, around and out of Oxford – the city looked wonderful this morning. After some good flat roads and a sharp left turn the Gidley Way climb was a nice surprise at 7%, although only a short and punchy climb. It was a beautiful morning. The sun was trying it’s hardest to burst out, which meant it was still chilly and jackets stayed on. Macca’s heavy legs from yesterday’s ride meant keeping concentration was key as the undulating road weaved its way to Bicester. Having cycled these roads a couple of weeks back, it was still a real treat seeing some gorgeous hamlets, woods and nature reserves…but no chance of stopping! No coffee stops were planned…just the odd stop to take on some beautiful home made flapjack and ‘power balls’ and for Stewie to take on some much needed energy. 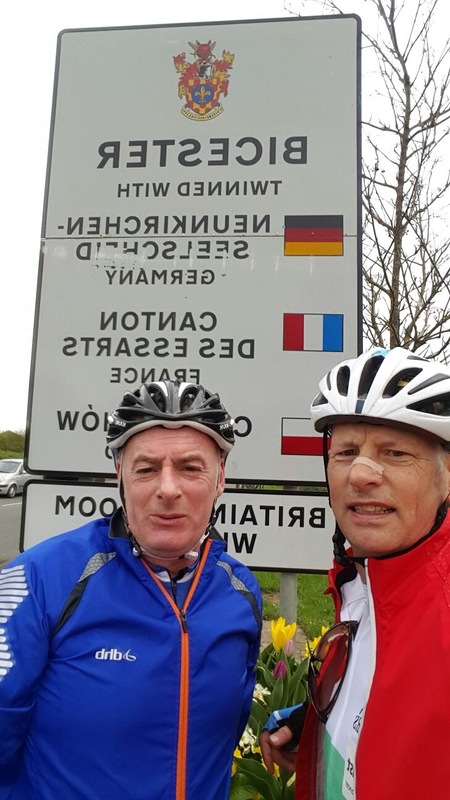 Now warming up nicely, the boys sped into Bicester – stopping for the obligatory snap shot by the sign. 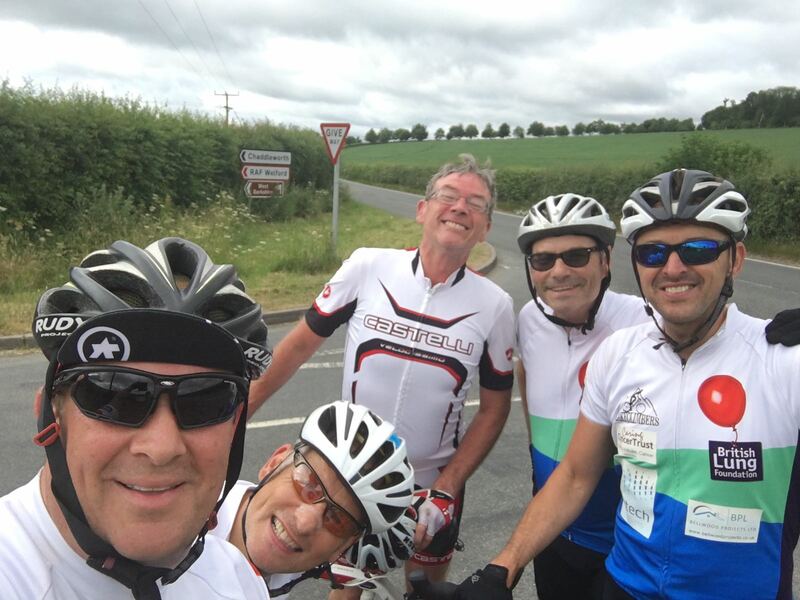 Once off and cycling again it wasn’t long before they reached Chesterton, Bicester Golf Club and then on some good roads past Kirtlington Polo Club. The jackets came off as the sun finally burst into life passing through Bladen, the beautiful Stanton Harcourt and Standlake. The route now went into Kingston Bagpuize, taking a left heading towards Hanney. Macca decided to get his head down and time trial (LOL) to Charney, waiting for Stewie as he caught up the lads went together through Denchworth, Grove then into Wantage. A superb ride of over 70 miles and one that Stewie will be pleased he completed on his new bike. Next week…3 days training in Mallorca – OMG!! !